Are ice cold beverages an American thing? Are ice cold beverages an American thing? In my two weeks of traveling around the world, I began asking just that question. You see, first, I started to notice that refrigerators in lounges didn’t seem to be that cold. 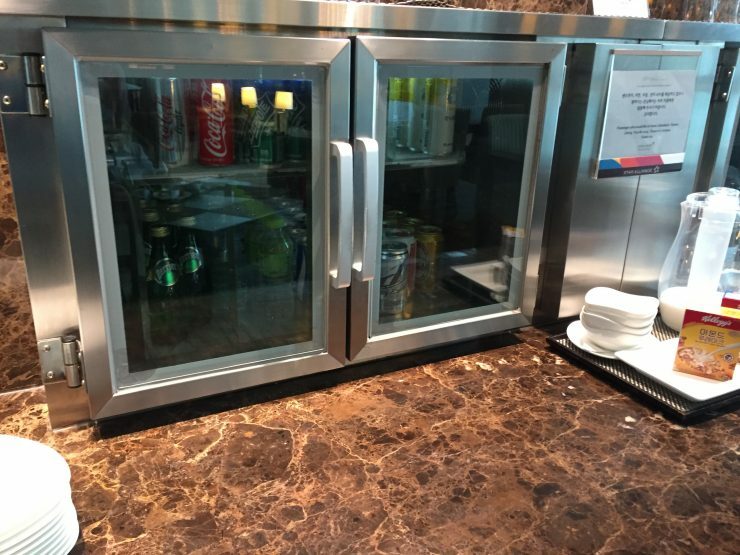 Don’t get me wrong, I noticed this in the past in Bali’s airport lounge and other lounges throughout Asia, but I had always just assumed it was just poor refrigeration, not actually intended. Well, an observation from my father, on his first trip to Asia gave me pause. Could the desire for an ice cold beverage be primarily an American thing? In fact, in Europe, folks have posed the same question. So I ask, is the desire for an ice cold beverage, purely an American concept? YES! I can’t stand my drink being super cold and I always need to request the server/waiter to go super easy on the ice. In the case of water, I ask to hold the ice altogether, as the water is already refrigerated. The interesting thing about this is that more times than not, this simplest request is usually met with a certain level of disdain by the staff. As they perceive it as my being a cheap stake for not wanting to buy a cup of ice with a splash of my drink of choice. I have lived in the U.S. for most of my life and I still cannot get used to the amount of ice in American drinks! @G – Wow… Maybe its the significant heat right now, but I really do enjoy an ice cold beverage… But, seriously, don’t ever feel like you’re a cheapskate for wanting less ice. Its all about your preferences. Everyone is different. In the Philippines we like ot cold. Maybe cause it is usually so hot I don’t know. But every roadside stand that sells 50cent liters of pepsi are cold and they usually sell ice too. Even in my home there we make bags of ice for when we have meals. @JJ – Awesome! I haven’t made it to the Philippines, but your country is very quickly rising on my list. I’m hopeful for a visit in 2017! YES. So much so that I’ve been willing to pay $5 for a diet coke from a 5 star hotel in Asia just to get it. @Dia – You just can’t beat an ice cold beverage! Ice cold for me. When we were in South Africa last October, we were very surprised about ice in drinks. If you ask for ice, you may get 2 cubes! @Jim – Good to know! I haven’t made it to South Africa yet, but it is high on the list… I will have to make sure I ask for double ice cubes! Yup. That’s why we drink hot tea with every freaking meal. It actually goes pretty deep, but more than a random comment. @Joe – wait, so that’s why I drink hot tea in 100 degree weather? I’m all about supporting cultural differences, but dang, I wanted a cold soda! @Tracy – I can only imagine how refreshing though lukewarm smoothies were! @Laetitia – I hear you on the ice (although I do enjoy myself a nice cold glass of ice with a touch of sprite – hah). But if it’s a refridgeted beverage like a can of soda, I still want it to start off very cold. @Jamie – lol – I dunno, there is something about the bite of an ice cold beverage, that is oh so refreshing! As you’ve seen, yup, it’s pretty much just us. The rest of the world drinks beverages at either room temperature or barely chilled. And, if you gather together a group of people from another country, they’ll prefer that their beverages NOT be icy cold, no matter how long they’ve lived here. Apparently it’s easier to get used to warmer beverages than colder; Daughter has lived in Italy for 12 years, now, and while she puts water in the frig, she doesn’t put ice in it. I put soda in the freezer, so there is no such thing as too cold! If you look at American advertising for beverages, ice cold is a strong selling point (though it usually isn’t delivered on). Warm soda gives me indigestion unless the soda is flat (old remedy for upset stomach). Water is the only palatable drink at room temperature and my guess is that iced tea was invented here in the states. Warm milk is fine for babies, but ice cold milk is a treat. Don’t think I could ever get used to warm drinks. There are other things that Americans refrigerate that aren’t always done overseas (condiments, eggs, cheeses).